A diet rich in leafy greens will have little room for many diseases. Lettuce is great for you and you should be eating more of it! It is cool, crunchy and fun to eat. Full of health, it is a punch of antioxidants and vitamins. Having lots of textures, colours and flavours, it is often used in salads, sandwiches, burgers, wraps and soups. Do not get confused between a lettuce and cabbage. They are very different from one another as cabbage has less water content and is also tougher than lettuce. One cup of lettuce (38 grams approximately), contains just5 calories and 10 grams of sodium. It does not contain any kind of fat or cholesterol. This leafy veggie fights inflammation and osteodynia (pain in the bones), aids weight-loss, boosts brain health, promotes heart health, helps fight cancer, reduce the risk of type 2 diabetes, boosts vision health, promotes digestion, helps treat insomnia, good for the immune system, enhances bone health and good for pregnancy. The potassium content in lettuce enhances muscle strength. The vitamin A revitalises the skin and potassium improves circulation of blood there by supplying oxygen and other nutrients to the skin making it glowing and radiant. The vitamin K in lettuce has various benefits for hair as well. It can prevent hair fall and boost hair strength. The omega-3 fatty acid delays the signs of aging. The fibre in this veggie is good to detox your system. Lettuce contains modest amounts of folate that helps fight anaemia. This vegetable can keep you hydrated just like water. Arugula: It is the most popular variety of lettuce. This green leafy tastes more peppery than bitter and is associated with Italian dishes. Radicchio: This deep red purple vegetable turns brown when cooked. And the bitter taste becomes sweet. Its bright colour and round head makes it stand out. Escarole: This mildly bitter leafy green is commonly used in sandwiches, burgers and wraps. Its leaf is large and crispy and very popular in Italian cuisine. Baby beet green: These are tender and slightly spicy leaves of the beet top when they are immature. They are added to many salads to add brighter colour and a unique taste that is sweet and spicy. The reddish-purple veins in the leaves look and taste very tempting when wilted. Mizuna: It is also called California pepper grass. This Japanese mustard green has a relatively strong pungent flavour as compared to other varieties of lettuce or salad greens. It adds a lot of texture to the dish it is added. Butter head Lettuce: This lettuce is soft and texture is indeed smooth like butter as the name suggests. The leaves are delicate and stored in plastic containers to keep them fresh for long. 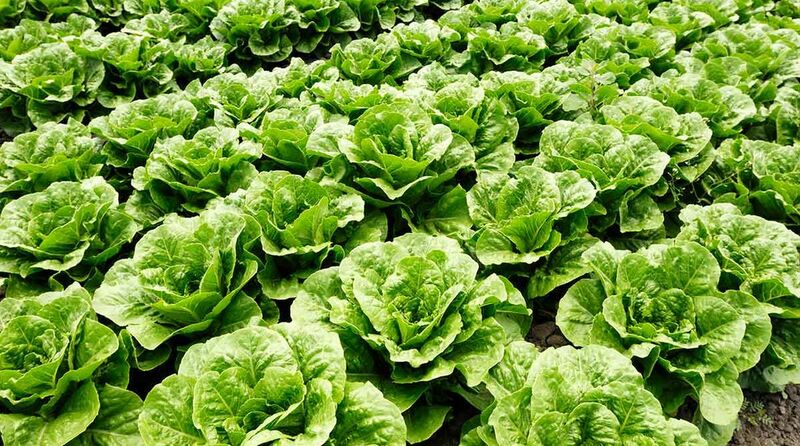 Loose leaf lettuce: It comes in both green and red leaves. They have loose open heads. Top is soft and stems are crisp. It is a versatile lettuce variety that can be added to a number of dishes in various cuisines. The flavour is usually sweet and mild. Take a few cherry tomatoes. Chop a cucumber in cubes. Chop lettuce coarsely. Add olive oil, salt, pepper and toasted sesame oil. Mix all ingredients well. Eat fresh and crunchy. Saute few thinly sliced onion and bell pepper until soft. In a large bowl combine coarsely chopped lettuce, sautéed onion and bell pepper, onion powder, garlic powder, black pepper powder, salt and few slices of boiled eggs. Pour on vinegar to coat. Toss well and eat. Whisk together lemon juice, garlic powder, salt and olive oil. Stir in oregano and pepper flakes to taste. Toss chopped lettuce in this dressing. Scatter few olives, little cheese, few pieces of cucumber, onion and tomato over top of the lettuce. Toss little whole grain pasta, blanched chopped carrots and beans, chopped onion and capsicum with coarsely chopped lettuce. Add little salt, mayonnaise, sugar, black pepper powder and tomato ketchup. Mix well and refrigerate for an hour. Eat chilled. Combine a cup of boiled corn kernels and chopped pineapple with a cup of torn lettuce. Top with vinegar, mayonnaise, pepper powder and salt. Mix well. A fantastic salad is ready to eat. You can enjoy these salads any time of the day with or without meals. While buying lettuce make sure it shows no signs of wilting. Once bought make sure that you store it properly. Preserving it is easy with a simple trick. Just wrap the whole lettuce in a dry paper towel. Place it in a plastic bag or container. Pull off leaves or cut off chunks as you require them. Wrap the remaining lettuce in the same way. Never store lettuce with apples, pears or tomatoes which release a gas that can cause lettuce to spoil faster. Do not wash them before storing. Wash each leaf just before you use them. This way they can last the longest. Who doesn’t like tender and crispy greens to gain optimum health? Don’t you?